Tis the season for "Best of..." lists and now it's my turn. 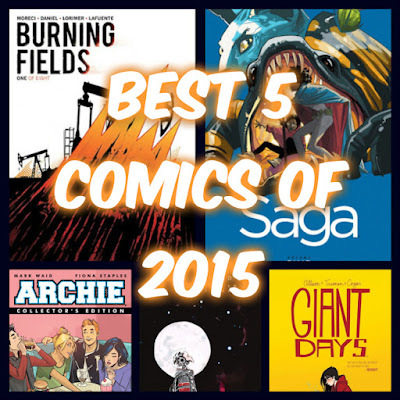 These are the Best 5 Comics of 2015 (in no particular order) that had me chomping at the bit every month. Were there more than five comics worthy of being the best? Of course. It's all subjective, I could have easily swapped a title or two with other worthy candidates. There were plenty of books I didn't read or didn't have access to, that I may have missed but it's always better to have too many options than too few to choose from. Trust me, though, these five are as worthy as any other and if you disagree please share your top five in the comments below. 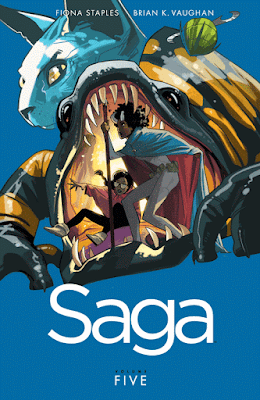 It's become so commonplace to have Image Comics' Saga in 'Best of...' lists, it should really be renamed the 'Best Comics Besides Saga of 2015.' Brian K. Vaughan and Fiona Staples have cemented their place in comics as one of the most highly acclaimed and best-selling titles every year. Their science fiction space opera consistently provides provocative storylines, exciting twists, and most of all gripping characters. 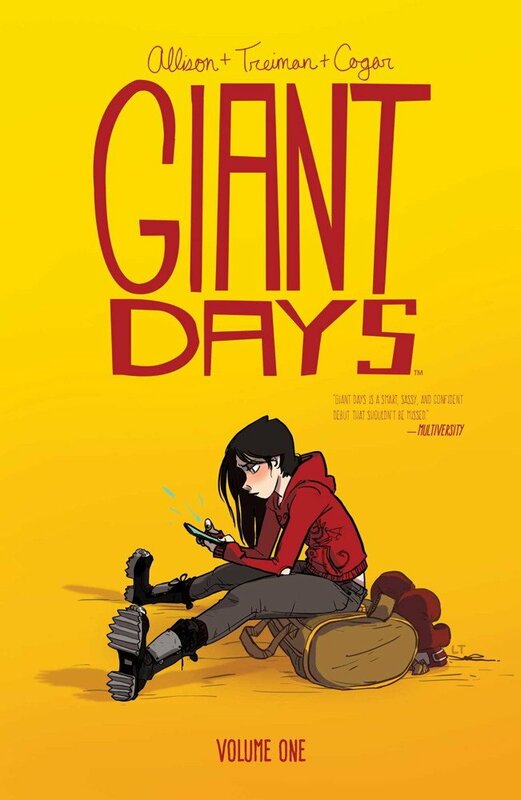 At the heart of it are Marko and Alana whose trials and tribulations on the run with baby, grandmother, half-bodied apparition in tow makes it a comic like none other in the market. A lot of hype followed the rebooting announcement of Archie Comics' flagship book 'Archie.' 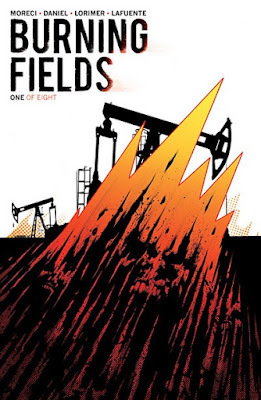 It was unavoidable when you have one of the most prolific writers in the business in Mark Waid and the award-winning artist of the blockbuster 'Saga' series in Fiona Staples. It turned out the hype was real. 'Archie' with a modern update, more realistic character designs, looked beautiful but also kept what made the 75+-year-old property fun - hi-jinks and teenage melodrama. Sometimes a team of collaborators get together and the result is astonishing. Everything seems to fall in place - from plotting, to layouts, to colors, to dialogue. 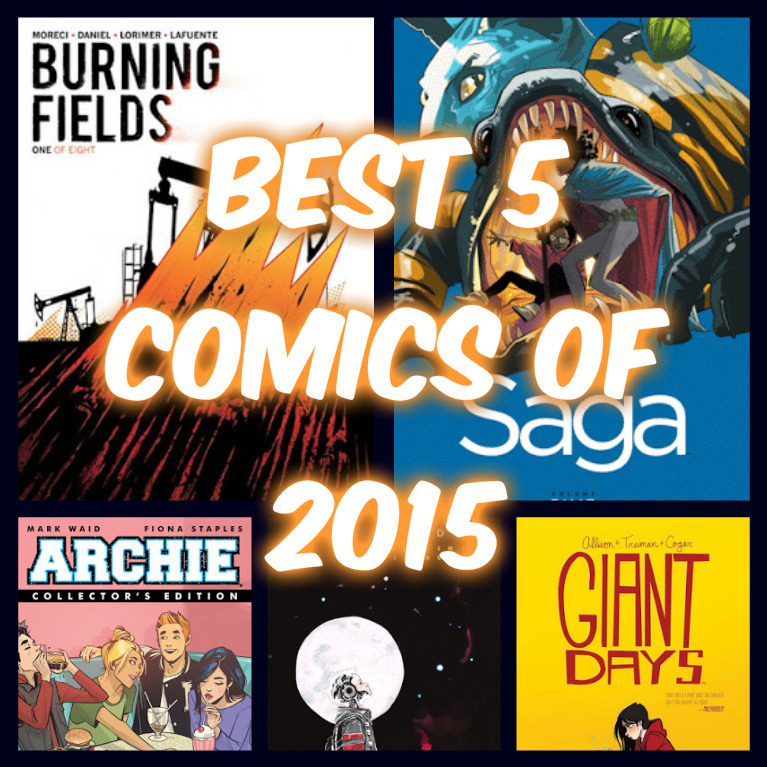 The perfect storm in comics in 2015 was Boom Studios! 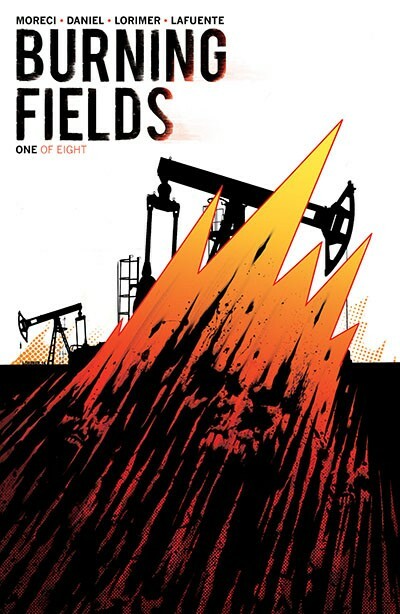 'Burning Fields.' Writers Michael Moreci, Tim Daniel, and artists Colin Lorimer and Joana Lafuente pieced together a tightly written, dramatically illustrated tale that combined the best elements of television crime procedurals with the look of Oscar-winning cinematography. The rare comic book mini-series where the dialogue was as compelling as the visuals. The dark, horror noir, created a suffocating and terrifying landscape, but even more frightening than the monsters were the all too corrupted humans. Easily one of the best if not the best of 2015. There are few comic book writers that can make you feel things, genuinely and heartfelt, like Jeff Lemire. 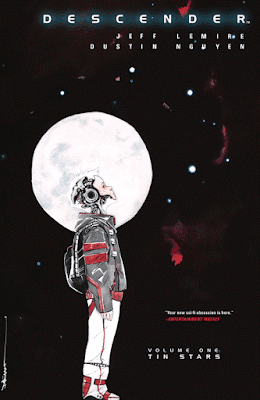 With Dustin Nguyen's amazing watercolors and delicate character designs, human emotions didn't stand a chance with Image Comics' sci-fi 'Descender.' The story of an android boy who awakens after giant machines destroyed a colony of planets including the mining outpost that housed his human family. In an anti-robot environment, his shared "DNA" with those machines makes him the most wanted robot in the galaxy. It sweeps you away and has you rooting for TIM-21 the entire way. There was no comic that made me feel better, brought me more joy, and made me laugh in 2015 like Boom Studios' 'Giant Days.' The story of Daisy, Esther, and Susan during their first year in college is a delightful comedy smartly written by John Allison and colorfully drawn by Lissa Treiman. In a series of funny situations involving the pressures of college life, relationships, and personal growth, Allison and Treiman do it all with great expressive art, wit and plenty of heart.